Add an interactive 360° panoramic tour to Google Maps and Google Search! Contact me to find out how! Entice searching customers by allowing them to take a virtual tour of your business. Tours are linked through Google Search and from Google Maps. Get up to 10 custom professional photos of your space, your displays, special products or anything you want! The photo rights belong to you. Your Google virtual tour can be embedded on any website, just like Google Maps. You can even embed to a custom Facebook page. 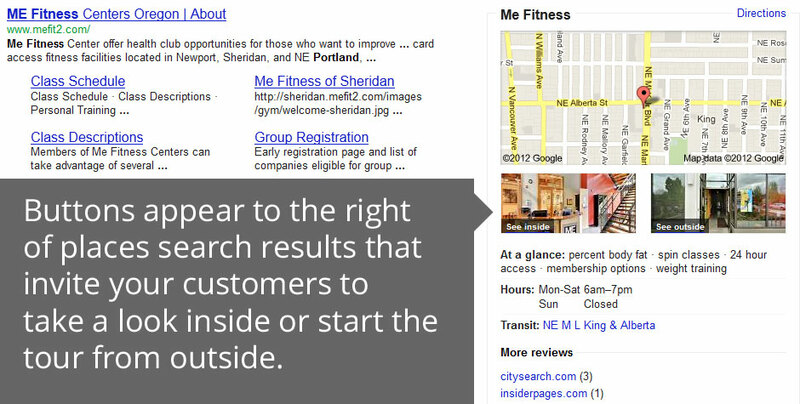 A new link inviting your customers to "see inside" will appear next to your local search results. 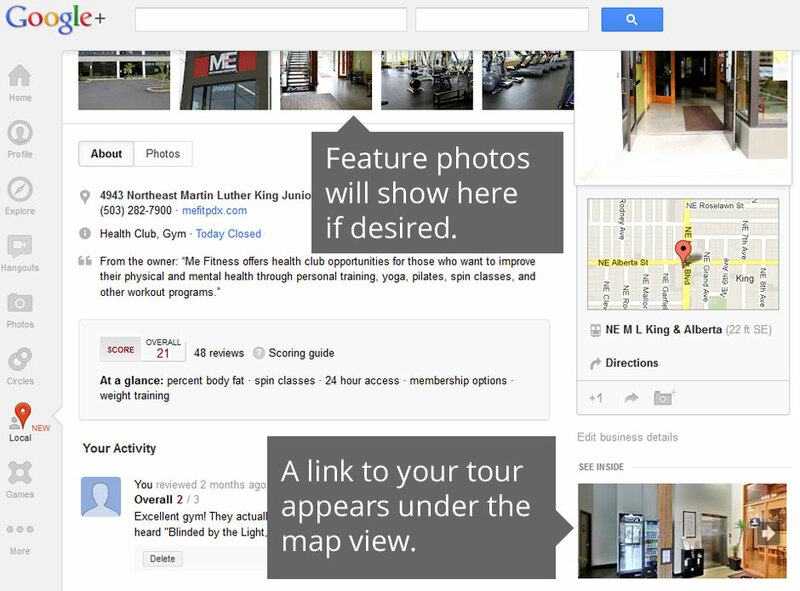 Your virtual tour will be seen under the map in Google+ Local. If you aren't already, you can get started here. It's quick and easy. Only Google Trusted Photographers can publish virtual tours to Google, GA Panorams is part of this program. Most sessions take less than an hour at your location. You don't have to close the business. We'll schedule a time that works best for you. GA Panorams notifies you when your tour is live! There's nothing else you need to do. You'll also get a download link for all of your high resolution feature photos. Just about any walk-in business is eligible for this program. For now, the services aren't offered for private real-estate. When will my tour go live? Imagery is uploaded within 3 business days and published on Google within 14 business days.